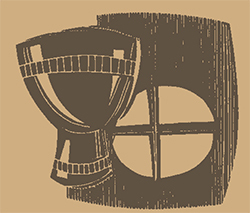 Sacrament of Reconciliation: March 13 and April 10 at 7:00 PM, St. Ignatius Chapel. Or by appointment with the Jesuit Community at 313-993-1663 during normal business hours. An Ash Wednesday Mass will be held at the Dental School at 12:30 PM. For Mass times at Sts. Peter and Paul Church on the Riverfront Campus, please visit the church's website. Mass Times: Saturday at 5:30 p.m., Sunday 8 a.m. & 10:30 a.m.
Gesu Catholic Church also hosts a 12:20 p.m. Catholic Community Mass at St. Ignatius Chapel in the Commerce & Finance Building on the McNichols Campus. 19801 Cherrylawn Avenue, Detroit, Mich.
17376 Wyoming Street, Detroit, Mich.
6330 Pembroke Avenue, Detroit, Mich.
3837 W 7 Mile Rd, Detroit, Mich.
143 Albany Street Ferndale, Mich.
23500 W. Seven Mile Road, Detroit, Mich.
All chapels are open for quiet reflection and personal meditation during school hours. People of all faiths are welcome to attend the Catholic Masses listed below. Services listed for "Terms I & II" take place only during the school terms; those listed as "Year-round" occur at all times except when the University is closed for holiday periods. The St. Ignatius Chapel is a wonderful spiritual resource on the University of Detroit Mercy McNichols campus. 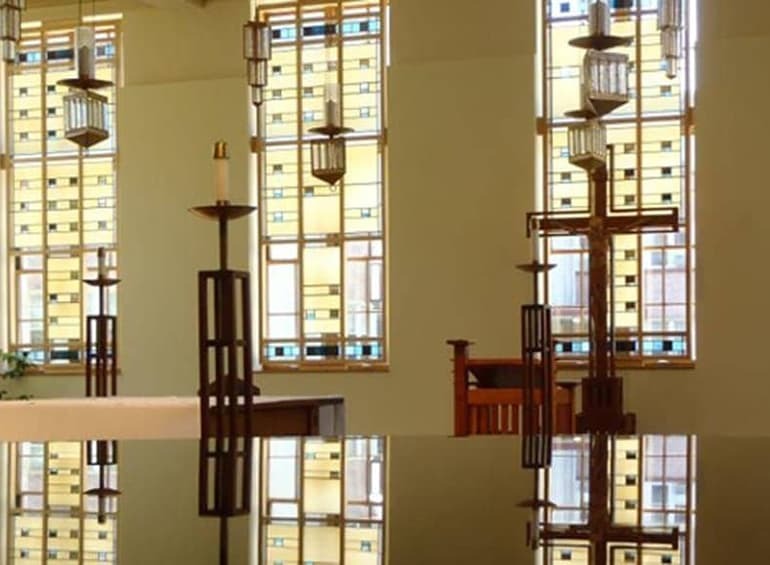 Located in the Commerce and Finance building, the combination of contemporary and traditional architectural forms found in the chapel makes it an ideal place for worship, prayer, and reflection. Catholic Mass is offered in the chapel Monday through Friday and on Sunday nights. People of ALL faiths are welcome to visit the chapel during the University's normal business hours. To reserve this space, please follow this link. Young Martyrs Chapel, located in Shiple Hall, features a beautiful stained glass portrayal of young people who devoted their lives to living out their faith. This chapel celebrates the youth of the Church and the continued life they give to our community. Young Martyrs Chapel is a gathering space for Christian Life Communities and other student groups as well as a place of prayer and reflection for residential students. To reserve this space, please follow this link. If you're wondering about the Catholic Church, its beliefs and practices, or are thinking about becoming Catholic, come and explore with us. We offer sessions for those interested at times convenient for all. Contact University Ministry 313-993-1560 or Anita Klueg at kluegag@udmercy.edu. If you were baptized Catholic, but now would like to make your First Communion or be Confirmed, we can do that! Contact University Ministry 313-993-1560 or Anita Klueg at kluegag@udmercy.edu. If you are already Catholic, but would like to learn more about the Church, its history and life, or your faith, we offer opportunities for you at convenient times. Contact University Ministry 313-993-1560 or Anita Klueg at kluegag@udmercy.edu.